The blogging world is nothing new to me. I began blogging for personal reasons back in 2006 when I was planning my wedding. It was so much fun and although my personal blog is private now (and I may or may not have posted on it in a year), I love having that record of my life since before my husband and I were married. 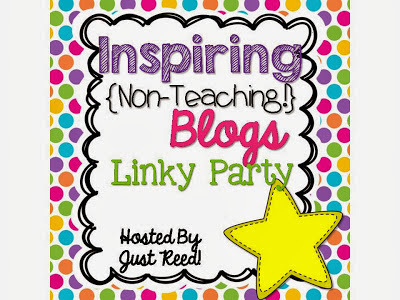 Since I have been blogging WAY before I found these awesome teacher blogs....I follow quite a few blogs that are non-teaching related so....I'm linking up to share them with you! First up is a blog I have been reading FOREVER!!! Sweet Kelly from Kelly's Korner. I will NEVER forget the day she had Harper (as I sat in bed 5 1/2 months pregnant myself) and I read the story of her birth and how both Kelly and Harper were not doing well. I bawled like a baby. Forever. I followed so closely has Harper struggled to hang on to life, but thank goodness came home after over a month in the hospital. Kelly is so sweet, southern, and such a wonderful example of a great Christian. Love her! 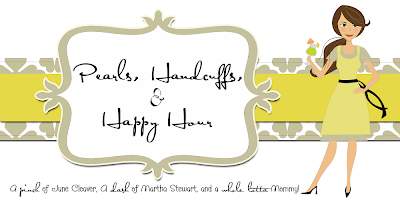 I also love Cara Carroll's Pearls, Handcuffs, and Happy Hour. I am so.not.a.cook. Like I don't like it and I don't think I'm very good. About a year and 1/2 ago, I found Cara's blog. I have tried several of her recipes and not only are they easy, but SO good. I love that she has pictures (because I am a visual learner) and takes me through the process. If I can do it, you can too!!! A more recent favorite of mine is Young House Love. They are a young couple who purchase a home, live in it, as they flip it. The crazy thing is that as we were building our house, I was OBSESSED with lighting from Shades of Light. About 80% of the lights in our house came from there. I noticed the Young House Love collection, but didn't realize that it was this couple with a blog. I recently found there blog and was like "Oh wait! I love their lighting collection!" Anywho...they are in their 3rd house and I love reading their daily posts and watching their house transform. Another blog I love it Tatertots and Jello. 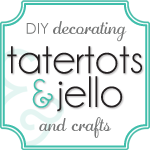 This is a blog full of crafting and creating and decorating...all DIY. I LOVE crafting. I love it, just don't have the time like I want. If I did...I'd be ALL OVER everything they do. Also, don't forget about the AWESOME Winterlicious bundle going on over at Educents. You don't wanna miss it. I promise!! !